A 'meaty' textured cheese excellant for grilling as it does not melt. It is a good source of protein for vegetarian diets. This cheese was awarded the championship at the 2006 East African cheese festival. 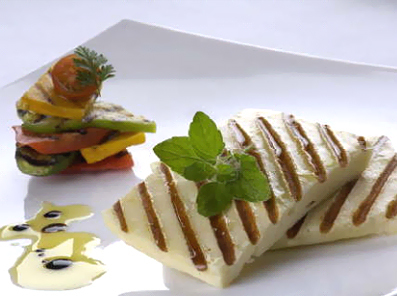 Kalloumi can be eaten raw, grilled, baken or fried and is extremely versatile as it holds its shape when heated.